The performance of the troubled Washington DC VA Medical Center has further “deteriorated” in recent weeks, drawing additional scrutiny from agency leaders, according to a July 17 memo obtained by the News4 I-Team. The VA memo said agency leaders have the “greatest concern” about mishaps, employee dissatisfaction and mental health programs at the medical center. The memo said VA leaders also are concerned about “large deterioration” in the length of stays by patients who use the medical center. The VA memo is the latest in a series of rebukes against the DC VA Medical Center. In February, the agency publicly announced the medical center was among the lowest-performing VA facilities in the nation. Weeks later, the VA Office of Inspector General released a scathing report detailing mismanagement, squandered taxpayer money and unsafe conditions inside the medical center. The inspector general also found shortages of supplies and unsanitary conditions in storage areas. VA provides internal scores for its medical centers. The memo indicates the DC VA Medical Center is at risk of falling to a lower score, the lowest of which would result in “receivership,” a takeover of the facility of by agency administrators. The agency did not respond to questions from the I-Team about the formal score and the risk of receivership. 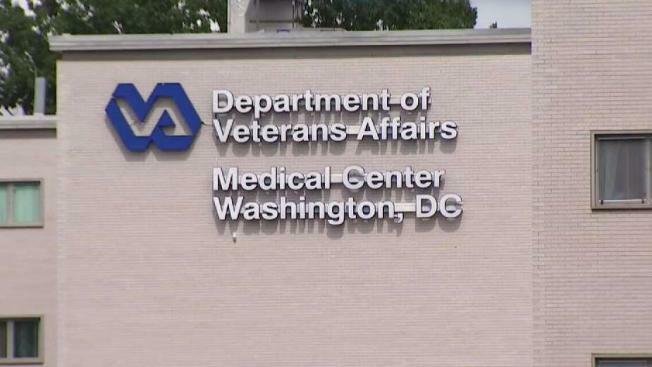 In a statement, the U.S. Department of Veterans Affairs said, “Earlier this week a team of experts from VA's Strategic Analytics for Improvement and Learning Office were on-site at the DC VAMC. The time period discussed in the agency memo includes the first six months of 2018, when the medical center was largely under the direction of former acting director Larry Connell. Connell was reassigned in April. Internal agency records obtained by the News4 I-Team in 2017 showed a longstanding problem of delayed surgical procedures at the DC VA Medical Center. Some were delayed because of supply shortages, including a hip surgery and a urological procedure. The agency fired the medical center’s former longtime director in 2017. The VA has since hired three interim directors to lead the facility. The most recent, Dr. Adam Robinson, was appointed for a four-month term, which is scheduled to end in mid-August.